Rumours were rife that Indore-born Bollywood superstar Salman Khan is preparing to contest general polls from the city. A local leader of Congress Rakesh Yadav in a statement said that the party is seriously considering Salman's name for Indore constituency, according to a media report. Clearing the air, the Dabangg star took to his Twitter handle to put an end to all the rumours about him contesting elections. He even denied campaigning for any political party. 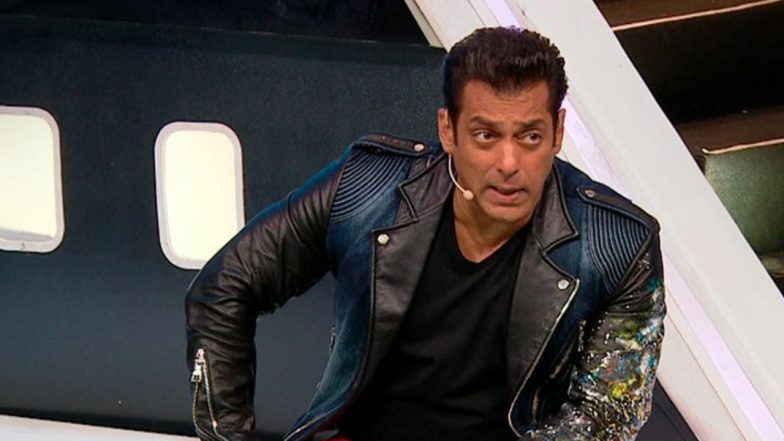 Salman Khan on Pulwama Terror Attack: 'When We Heard About That, It Just Killed Us'. This tweet comes a few hours after Salman insisted his fans to cast their vote in the upcoming elections. The tweet was a reply to Prime Minister Narendra Modi’s request to remind the people of India to exercise their rights and participate in making the democracy successful. Salman tweeted, “We are a democracy and it is every Indian's right to vote. I urge every eligible Indian to exercise your right and participate in making the Government.” Notebook Song Main Taare Teaser: Salman Khan Serenades Us With This Melodious Love Song (Watch Video). The actor was born in Indore’s Palasia area in 1965 and has spent a substantial part of his childhood in that city before moving to Mumbai. The actor, who generally keeps away from politics, campaigned and participated in a roadshow for the Congress’ Indore mayoral candidate Pankaj Sanghavi in 2009. However, the move did not pay off as senior BJP leader Krishna Murari Moghe managed to defeat Mr. Sanghavi.